As we approach the 50th anniversary of the release of ‘Yesterday and Today’, infamous for its ‘Butcher’ album cover, Liverpool writer Dale Roberts (@DRDaleRoberts on Twitter) gives his take on the story behind this now rare item. 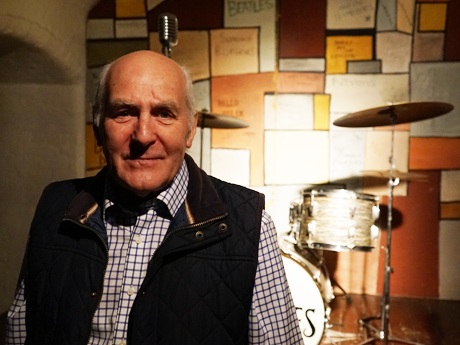 Dale is a local writer with a focus on local tourism, culture and The Beatles. Dale is a ‘Beatles, culture and Tourism Representative’ in Liverpool. As well as having a background working with local youth Dale is an associate with the James Bulger Memorial Trust and loves Liverpool as city, tourist destination and as a football team. Picture: The 'Butcher' album cover, part of The Beatles Story's Main Exhibition. "It was only last month I sat down with a friend in one of Liverpool’s great restaurants and discussed Beatles albums, their greatness, rarity and worth. As we discussed the albums of The Beatles it was impossible not to mention the famous Butcher cover. "There are many stories about the message The Beatles were trying to broadcast with this cover, but what we know for sure is that it caused a massive stir in an already controversial year. "1966 was the year the world was made aware of John Lennon’s famous comments about Christianity and the year they were chased out of the Philippines for apparently “snubbing” a garden party hosted by Imelda Marcos, the first lady. This is the year they began to move away from the famous Mop Tops and the year that John Lennon met Yoko Ono. The Beatles in 1966 were not far away from controversy, the Butcher cover was one part of it. 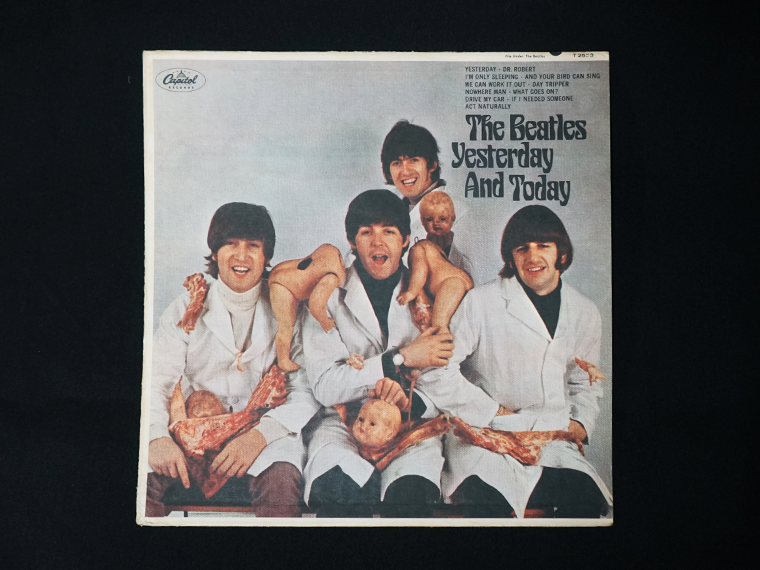 The cover depicts the Beatles covered in meat and decapitated baby dolls. "They were miles away from the clean cut image Epstein had shaped for them. The photo was taken by Robert Whitaker for a conceptual art piece called A Somnambulant Adventure. According to Alan Livingstone (former president of capital records) in an interview with Mojo, it was McCartney who pushed for the cover, saying to Livingstone “It’s our comment on the [Vietnam] war”. "There are a couple of other theories behind it too. One theory is that it was a statement against Capitol records “butchering” the British album releases for profit. Typically Capitol would receive the Beatles UK album releases and hold back tracks for future US releases and mix them with A and B side singles to spread them out over more albums to make more profit. 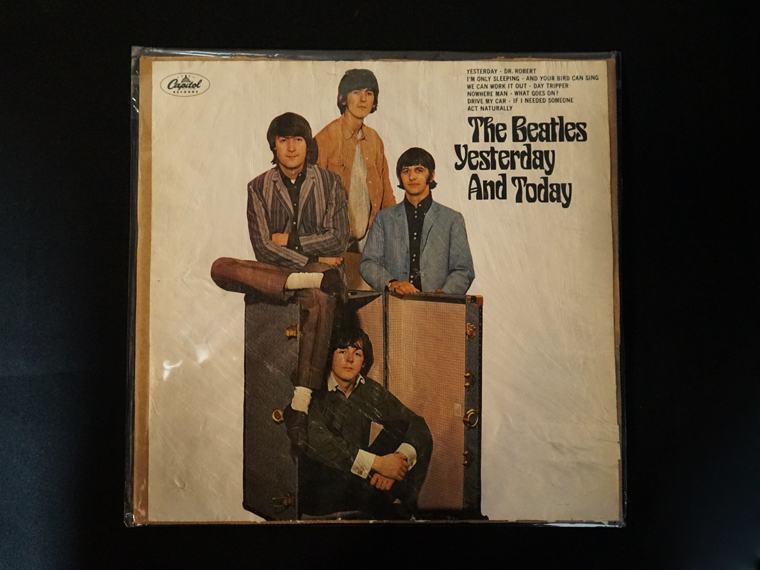 This is why the US Beatles Albums are largely unheard of the in UK such as “Beatles ’65”, “Something New”, “The Early Beatles“, “Beatles VI” and of course “Yesterday… And Today”. 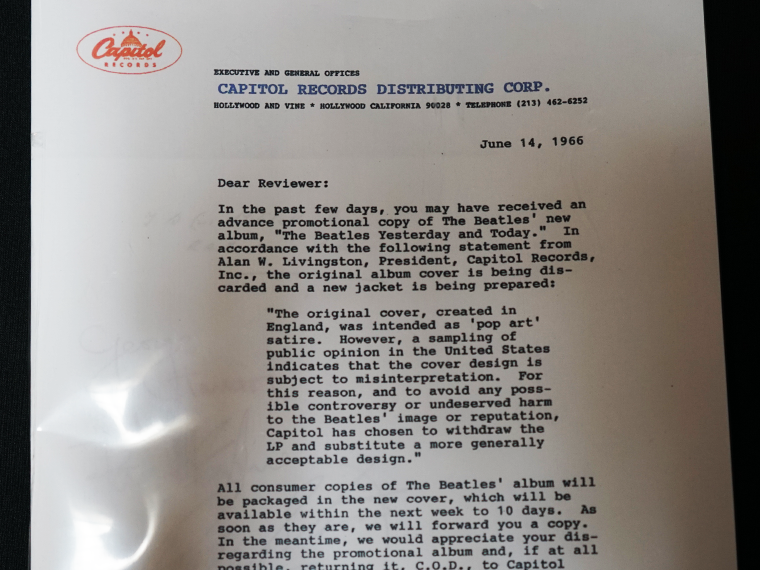 Picture: The original letter from Capitol Records regarding the change in album sleeve, part of The Beatles Story's Main Exhibition. "The above theory about Capitol was contested by Robert Whitaker who insists that the photoshoot was his idea for a conceptual art piece depicting a human version of the Beatles, unlike the “God like” figures that the public seen and worshipped them as. "This was in many ways confirmed by John Lennon in 1980 when he said the cover was "inspired by our boredom and resentment at having to do another photo session and another Beatles thing. 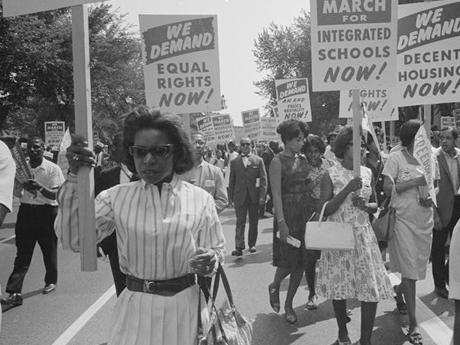 We were sick to death of it." While at the time John Lennon used the covers criticism to condemn the Vietnam War as well saying "It’s as relevant as Vietnam. If the public can accept something as cruel as the war, they can accept this cover." - It was pulled by Capitol within the first day of release. "What happened from here is the album instantly became a collector’s item as many copies were sold before recall. Capitol reprinted a pleasant image of the Beatles sitting in Brian Epstein’s office on a trunk, but printed it to be pasted onto the old Butcher Covers as this was more financially suitable, creating a surge of people steaming their records to try to reveal the old cover image. Original Butcher Album pricing currently varies, however a stereo first pressing in mint condition without the “trunk cover” pasted on top is known as a “first state” and is the most valuable. Picture: The 'more acceptable' replacement album cover, part of The Beatles Story's Main Exhibition. "Of the original Butcher Covers manufactured its thought that only ten percent are in stereo, making them the rarest. 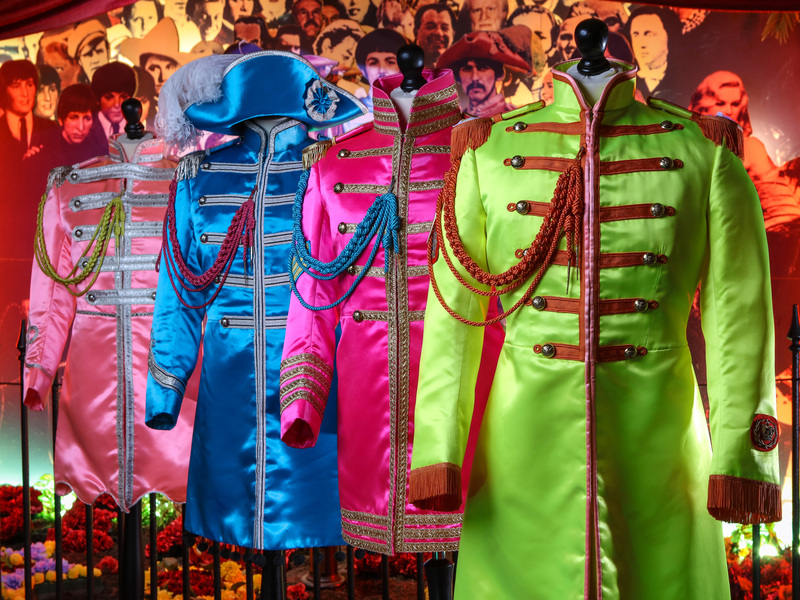 If you have one in your loft, you are in possession of “the holy grail” of Beatles collectables, according to George Harrison. "There is much myth, rumour and opinion not only about the Butcher cover but about The Beatles in general that it may be hard to ever get to the bottom of the decision to shoot and use this picture. "In 1966 The Beatles were growing up and becoming more individualistic, in doing so they sparked creative waves that would forever change people’s lives. Robert Whitaker’s point remains, John, Paul, George and Ringo as great as they are, were just four normal lads from Liverpool, made with flesh and bones like you and me, who went on to change the world." Dale is a local writer with a focus on local tourism, culture and The Beatles. Dale is a ‘Beatles, culture and Tourism Representative’ in Liverpool.